ANVE’s white SACO DE PAPEL. 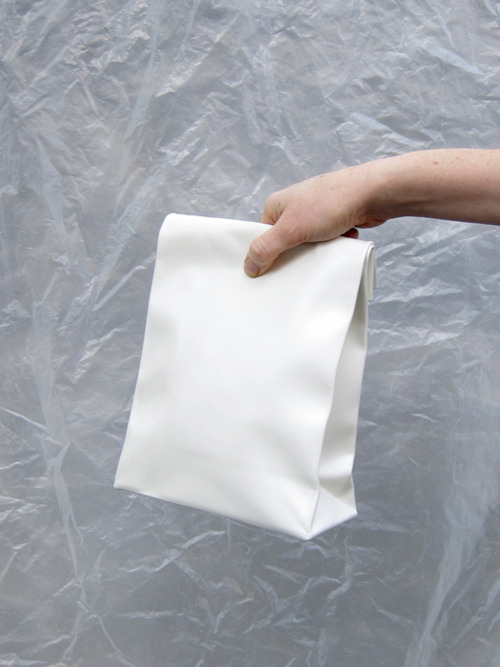 The paper sack purse in white leather. 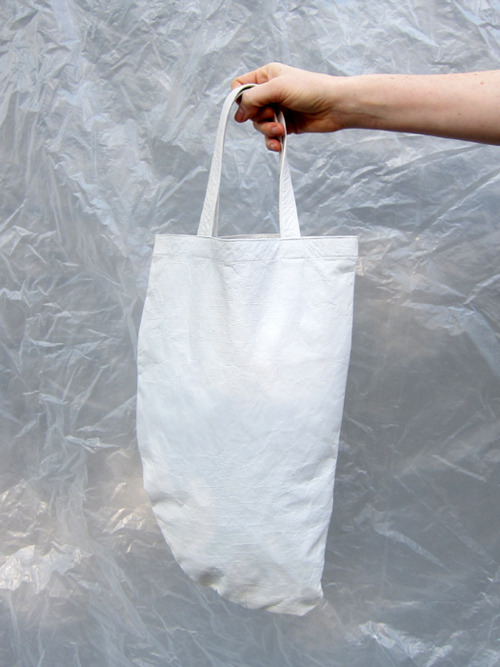 ROWENA SARTIN’s not-a-rectangle handle tote in a washed and dried and crinkled like paper leather.